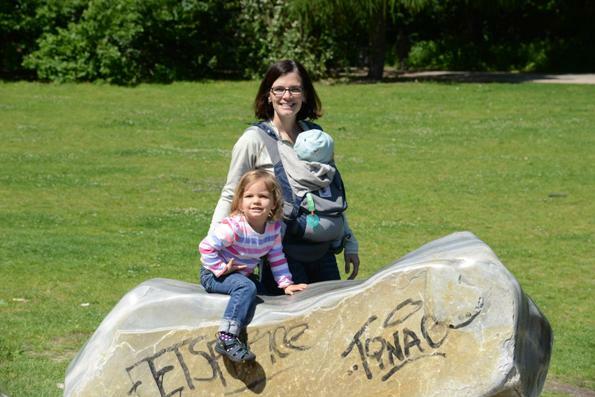 We drove from our home near Mannheim to Berlin for a long weekend. 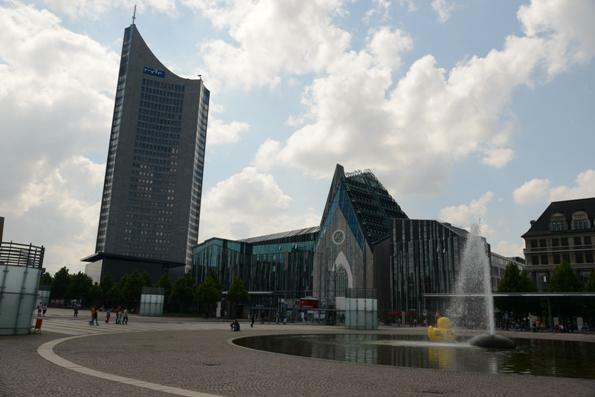 Then on the way home we stopped by the city center of Leipzig for quick look-see. 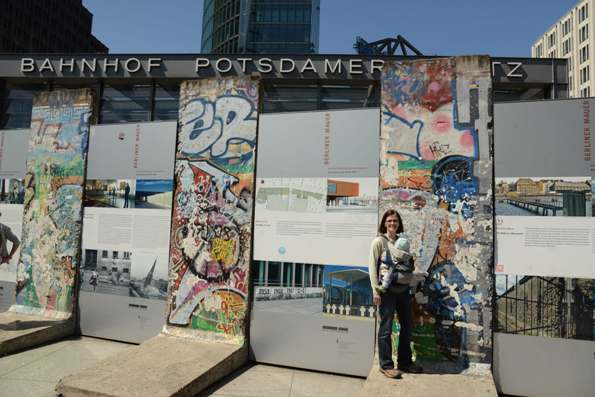 For all the time we've spent living in Europe (6 years at this point) we had never been to Berlin. 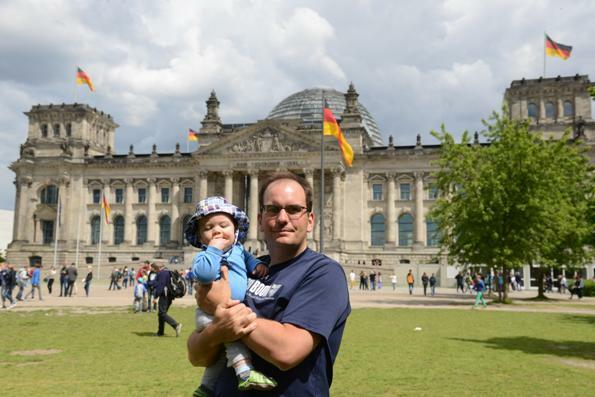 It was our last "must do" on our list of major European cities. The city is huge and we just were able to catch the highlights. 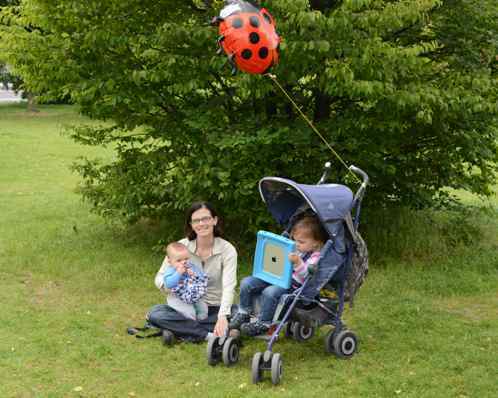 Plus with small children we weren't too ambitious. 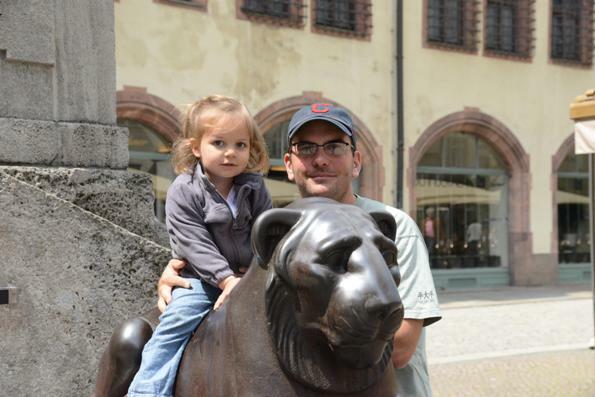 Plus, since we'd lived in Germany for the last 3 years we were more interested in the landmarks, not necessarily getting an "authentic" experience. 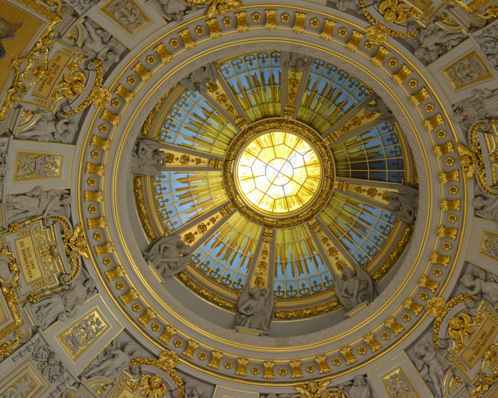 Having said that the city is impressive and worth a visit. Berlin was about 5 hours from our home so it was a decent trip in the car. The autobahns are usually packed until you get to the former eastern Germany parts where the autobahns are perfect. Thanks to the western tax payers! Driving on the autobahn for the last three years I can say that it is generally not pleasurable. Yes, Sunday morning at 6am is glorious. But almost any other time the roads are packed with cars and since trucks can't go above 100kph the flow of traffic gets choked down to about 110 kph. The advisory speed is typically 130kph so that means most of the time you're puttering along at 20 kph below the speed limit. For full resolution photos from the trip to Berlin and Leipzig please click on the respective links. Erynn found a large apartment in the outskirts of Berlin via AirBnB at Charlotte-E.-Pauly-Straße 30 (GPS: N 52°26'51.246" E 13°37.0.558"). The city is huge -- like 344 square miles! 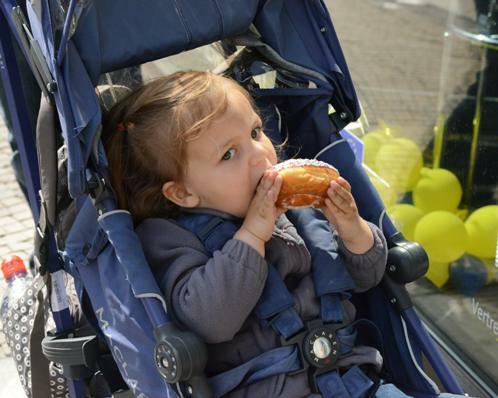 So we took the car into the city center each day. 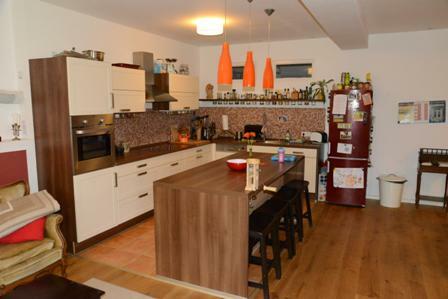 But the apartment served us well and was extremely close to the Großer Müggelsee in the former East Berlin. 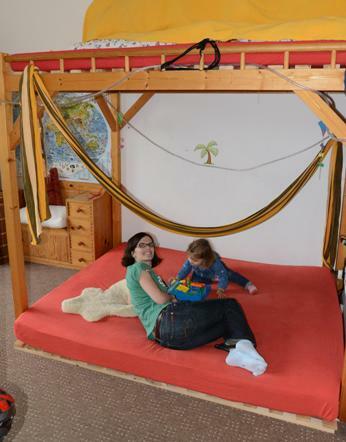 The owners also had small children and Greta loved the dedicated play & sleeping room. 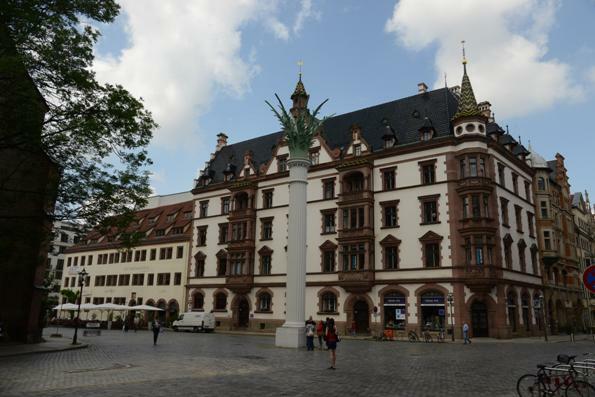 For our first day we focused on the historic middle of the city (Historic Mitte). 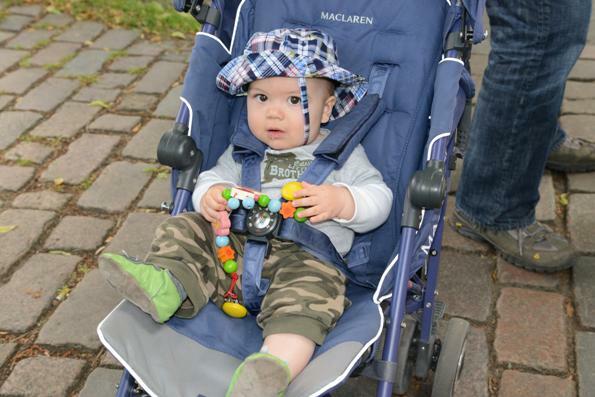 Our first stop on the first day was the Tiergarten. 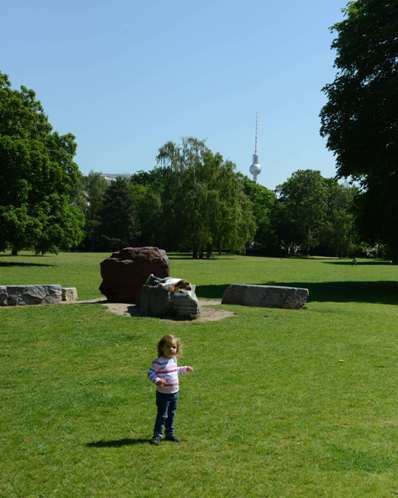 It is a huge park in the center of the city near the Potsdamer Platz where we parked the car. It was a great place to climb over rocks, play in the trees and generally let the kids burn some energy. 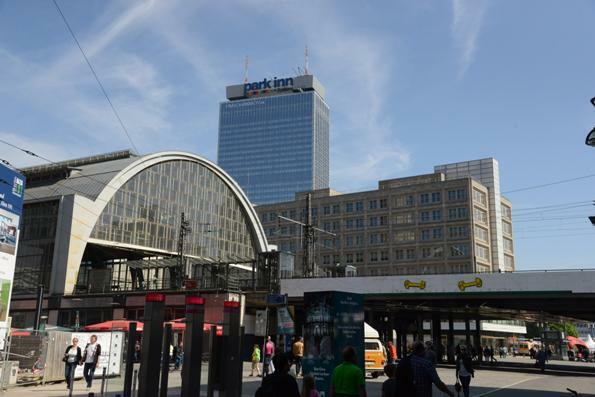 The Potsdamer Platz is today surrounded by modern office buildings, and frankly, not that pretty. However, back in the day it was an epicenter of east-west tensions. 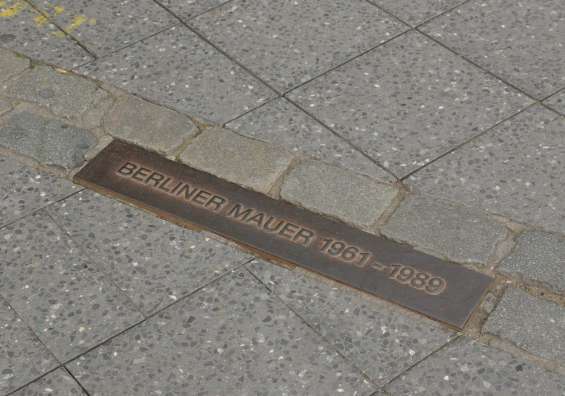 Throughout the city are reminders of the Berlin Wall. What struck me was how the current city reclaimed the center. Where some of the markers were ran directly through buildings and such. 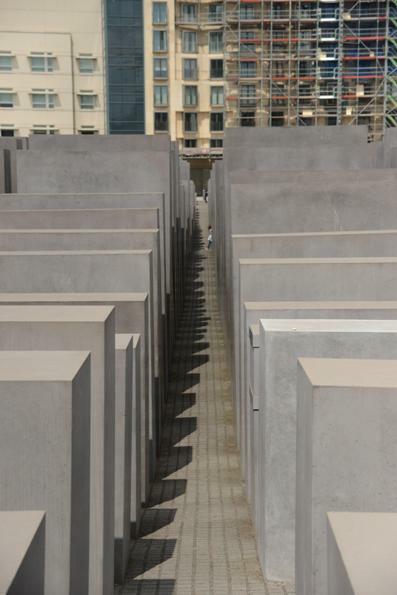 One of the more poignant memorials is the Memorial to the Murdered Jews of Europe located right between the Potsdamer Platz and the Brandenburg Gate. 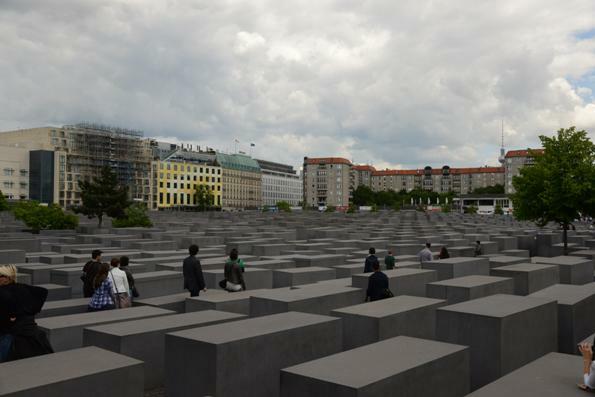 The memorial consists of a site covered with 2,711 concrete slabs or "stelae", arranged in a grid pattern on a sloping field. There were a few themes on the trip for Greta. 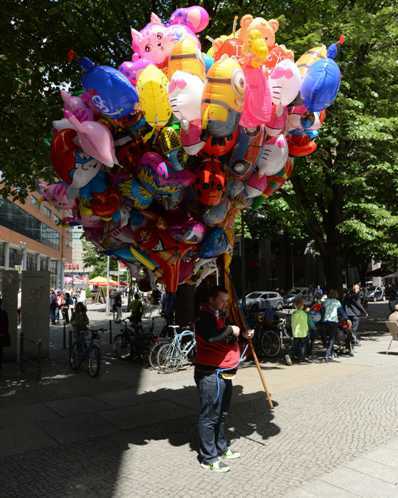 One of them was balloons. 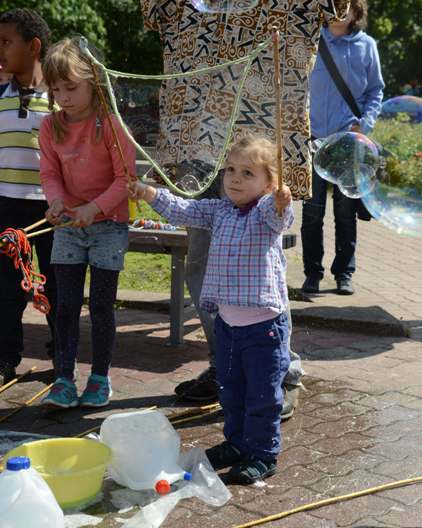 The vendors really know how to draw in kids and make parents part with their money. 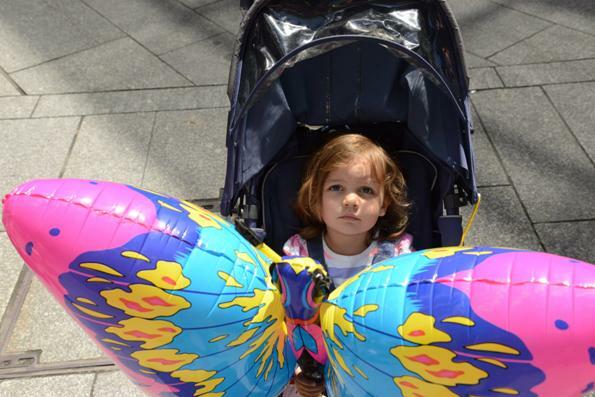 The issue with having so much choice is that it can be a little overwhelming for a 3-year old and you often end up buying many balloons throughout the day. Of course, that's the basis for a great business. 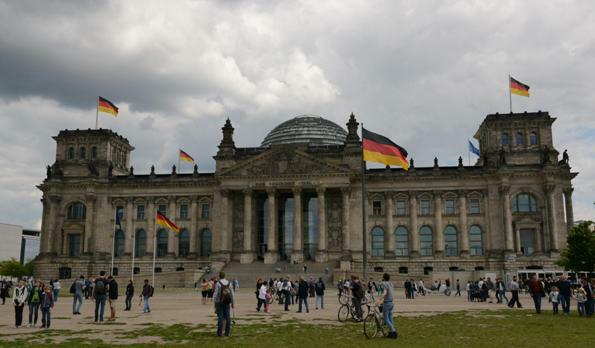 Some more photos of the Reichstag. 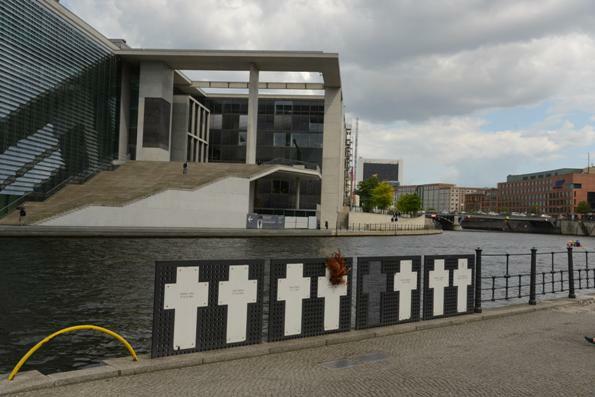 Next to the Reichstag the River Spree divided the former east and west Berlin. 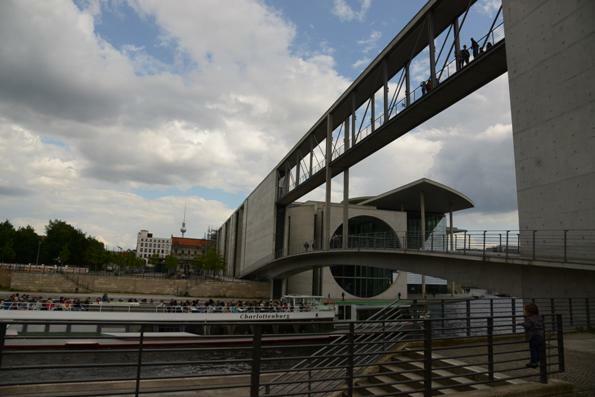 The German government built two administration buildings on either side and a cool bridge connects the two buildings: Paul-Loebe-Haus and Marie-Elisabeth-Lueders-Haus. Near this spot was a memorial to a few people killed while trying to defect to the west at the time of partition. These memorial were scattered around the city with the estimated death toll about 200. 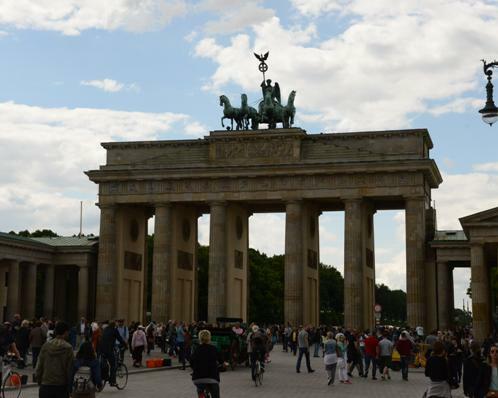 We made our way to one of the most iconic squares in the Berlin where the Brandenburg Gate is located. 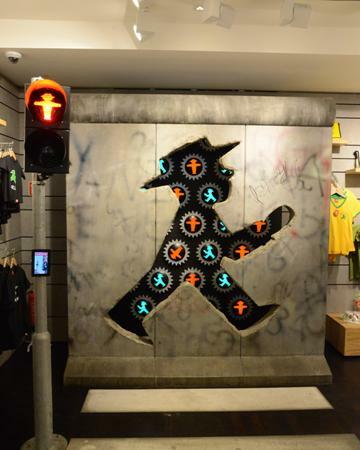 As you cross most intersections in Berlin you're greeted by the Ampelmann. This iconic design has led to a brisk souvenir business. This shop was on the famous Berlin Unter den Linden street. Another Greta obsession during the trip was pink donuts. She's eat the sprinkles and frosting off the top and throw the donut away. 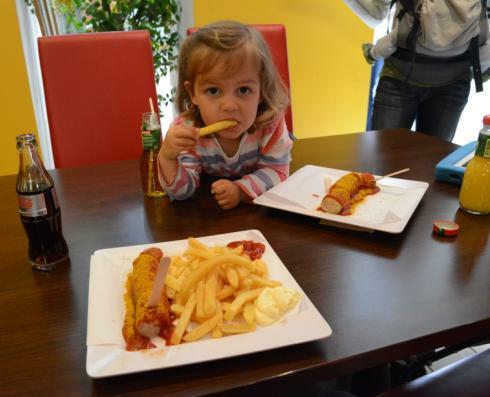 Berlin is also home to the Currywurst, which she also enjoyed. What's not to like about a sausage, sauce and fries? 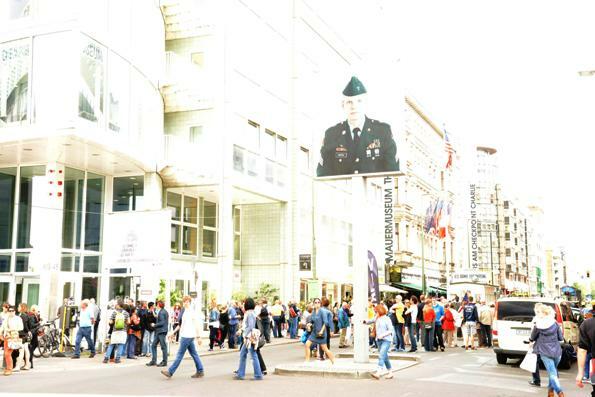 We ended our first day walking to Checkpoint Charlie. The photo is washed out because I messed up the flash. But we didn't stay long because the kids were tired and the area was a super busy tourist district with not much to see as far as we could tell. 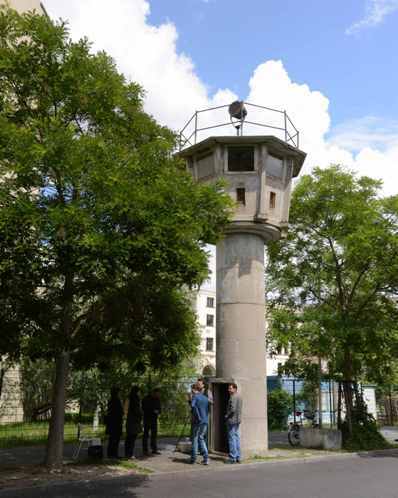 On the way back to the car we did see this cool old DDR watch tower. 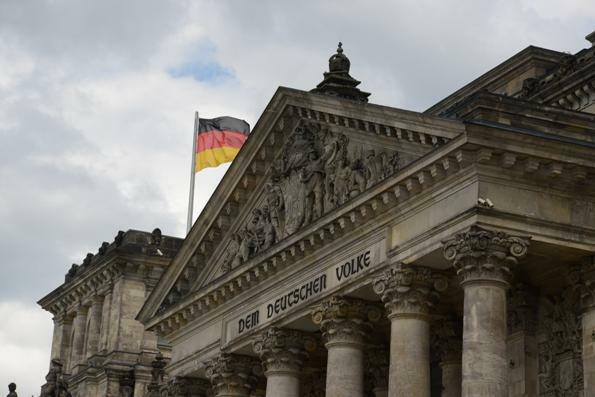 We spent our second day in Berlin walking around Alexanderplatz & Museum Island. 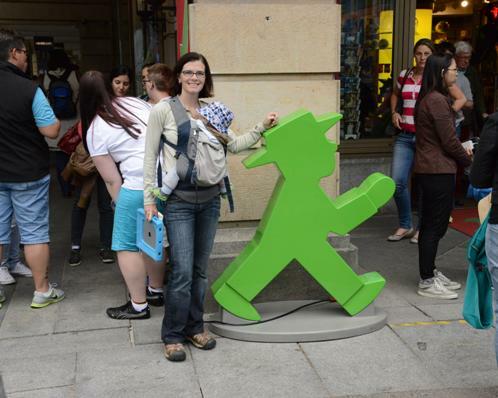 We parked near the Alexanderplatz Station and just explored. There was a lot to see in the area. The main square was under construction for a new subway line so it was difficult to get some of the more classic photos. 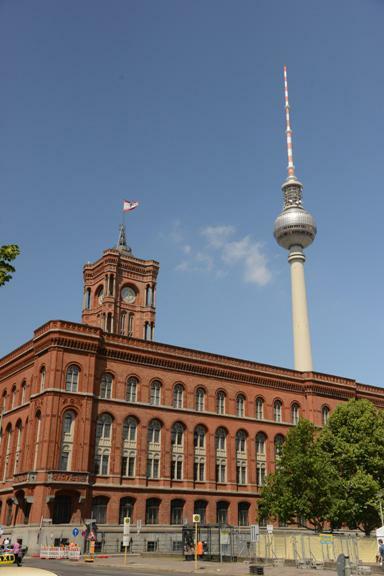 The square is dominated by the Fernsehturm (TV Tower) and the Rotes Rathaus (Red City Hall). 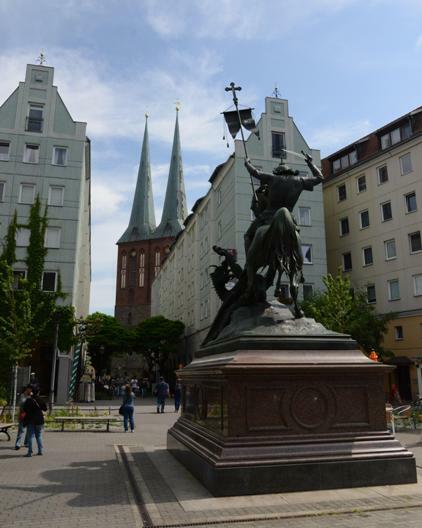 On the other side of the square it the Marienkirche and Neptune Fountain. 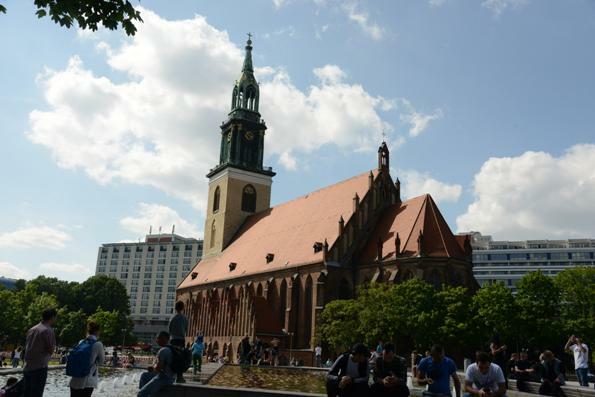 Walking to the river we stopped by the Nikolaikirche, which together with the Marienkirche are the two oldest churches in Berlin. You can see the twin spires in the background of the left photo. 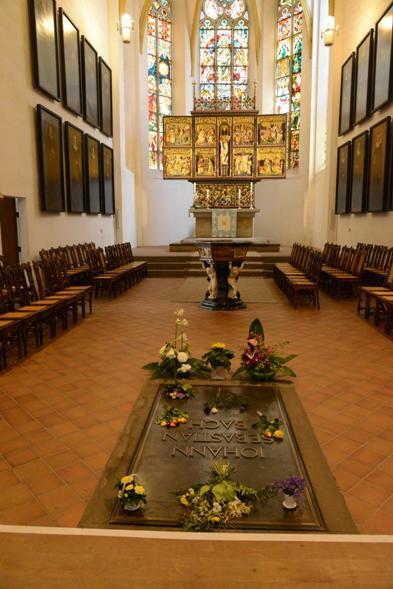 In the foreground of that photo is statue of Saint George slaying the dragon. 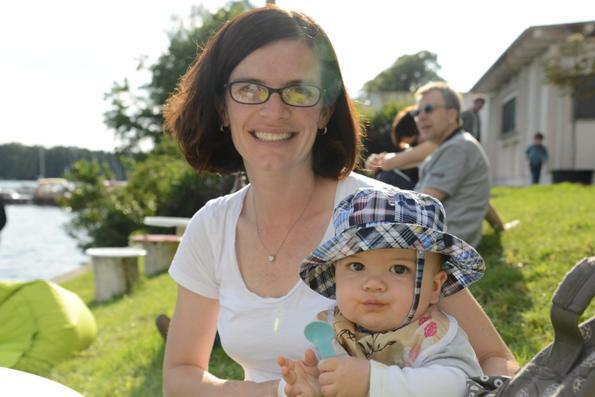 We stopped for lunch next to the statue and Greta grabbed the camera and started snapping some photos of mommy and baby brother. She's a natural. It really is a pretty area and the weather was perfect for just strolling around and relaxing. 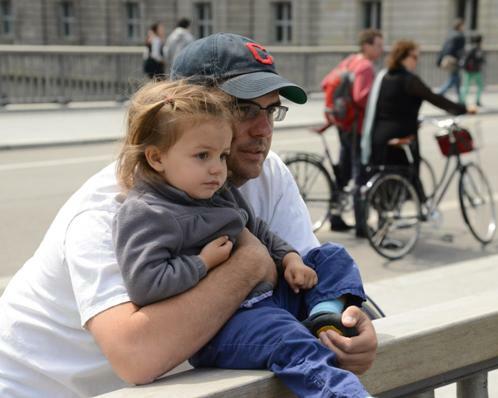 Doug and Greta took a minute to relax on the Rathausbrücke to watch boats on the river and check out the Berliner Dom. 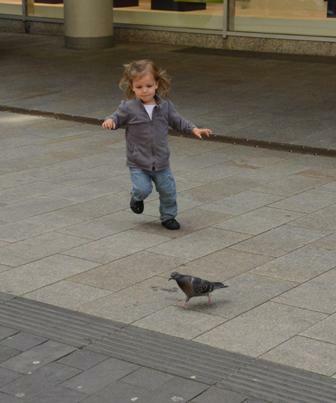 Then what trip would be complete without letting Greta run around trying to catch some pigeons. 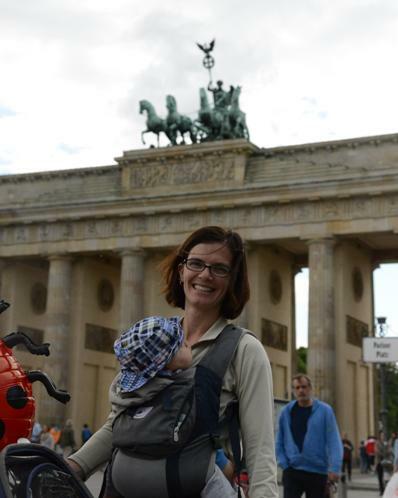 This time in front of the Berliner Dom. 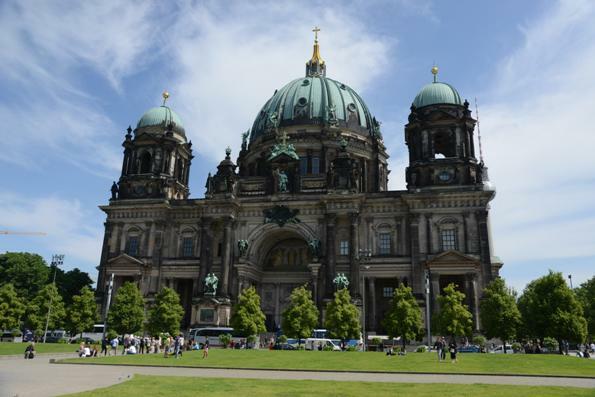 And here is the Berliner Dom (Berlin Cathedral) in the left photo. 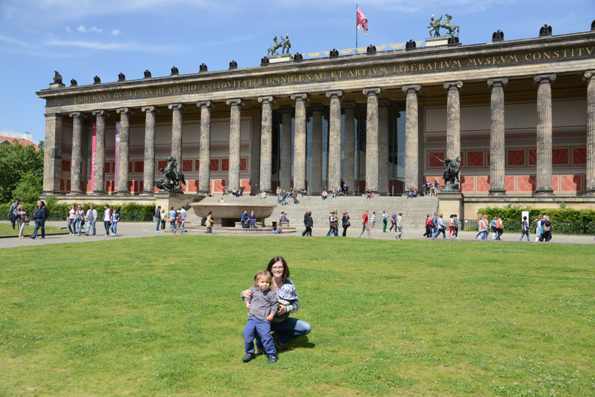 Next to it on the same open space is the Altes Museum. 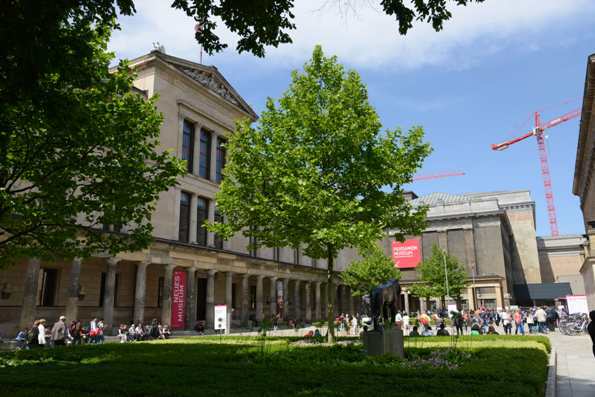 Then behind the Altes Museum are the many museums of Museum Island. 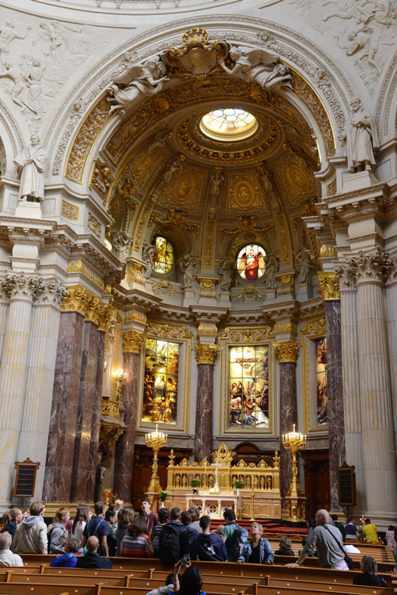 The inside of the Berliner Dom was pretty spectacular. 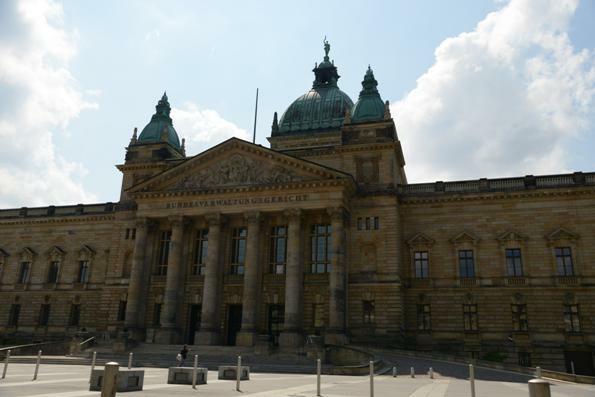 Further along Museum Island were the New Museum and Pergamon Museum. We didn't go inside since museums aren't much fun with little kids. 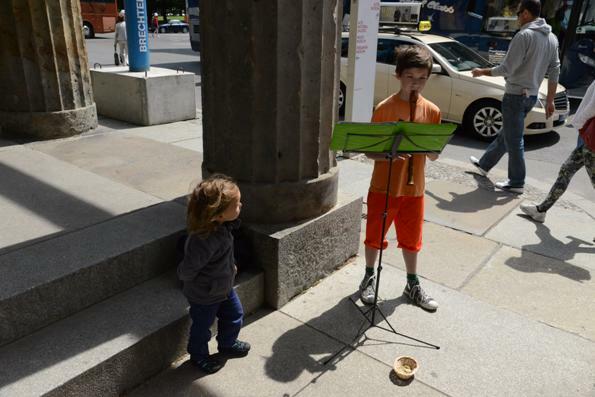 Besides who needs a museum when you can't pry your toddler away from the boy playing the lute! There was a huge Sea Life Aquarium nearby. 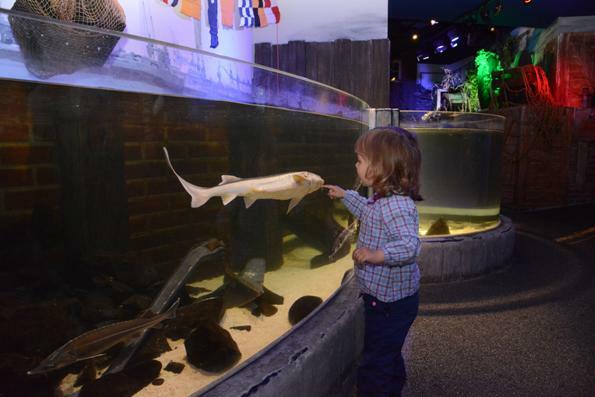 There is also one near our home in Speyer, and Greta loves to look at the fish. 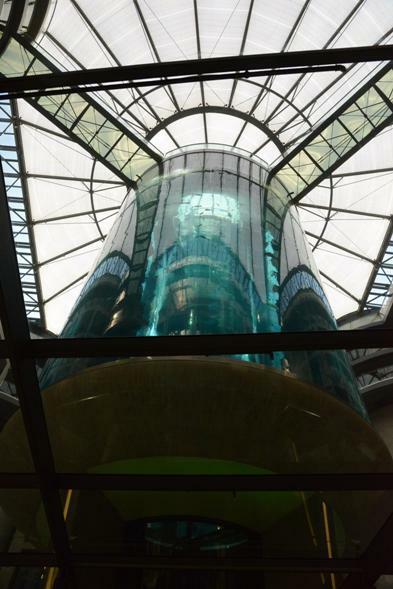 This particular Sea Life site had a 25 meter high aquarium that you rode an elevator up into. 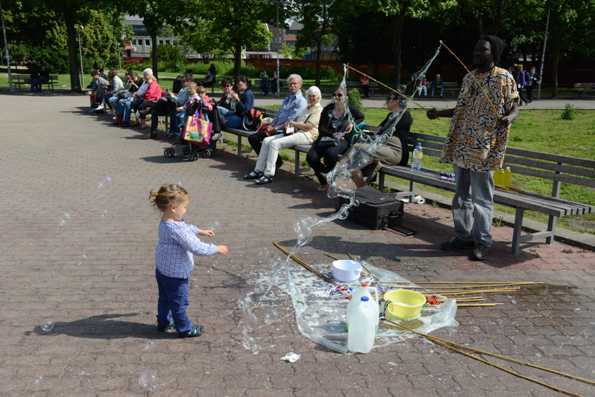 While heading back to the car we walked through Alexanderplatz where it was a bit breezy and a guy was blowing huge bubbles. Needless to say Greta was thoroughly entertained for a long time. 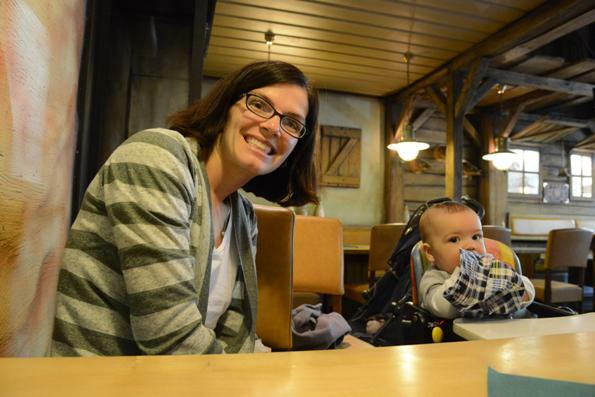 We then headed back to our apartment and for dinner went to the Berliner Bürgerbräu Biergarten for some bratwurst. 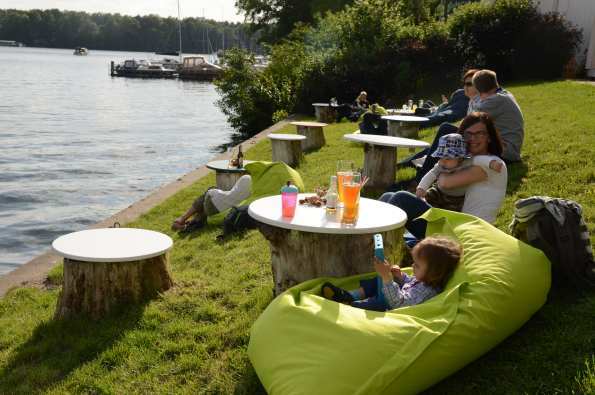 It was a lovely afternoon to hang out by the Müggelsee. 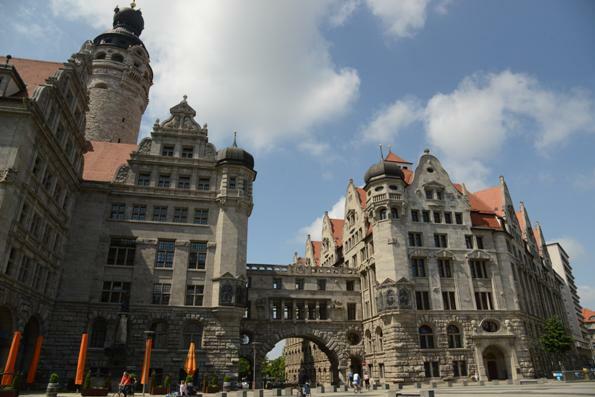 As I mentioned before, on the morning we drove back home we stopped in Leipzig, which we had heard was an impressive city. We only spent a couple hours walking around the city center and really didn't do it justice. It was also Sunday morning so very little was open either. 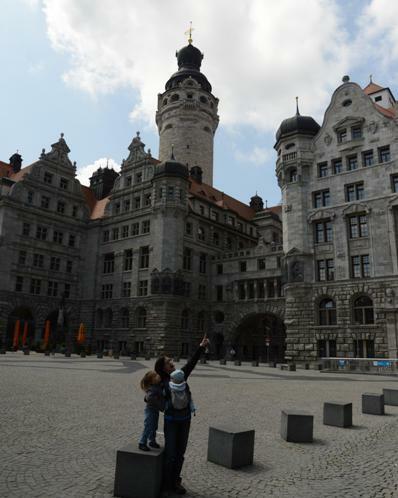 We parked under the Neues Rathaus (New Town Hall) and began our walking tour. 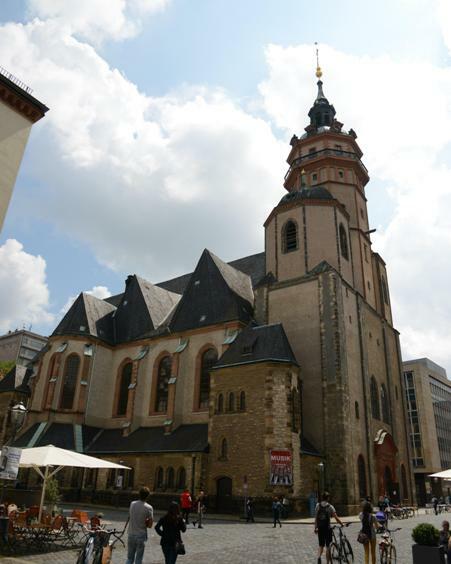 Near the Rathaus was the Thomaskirche where Bach is buried. 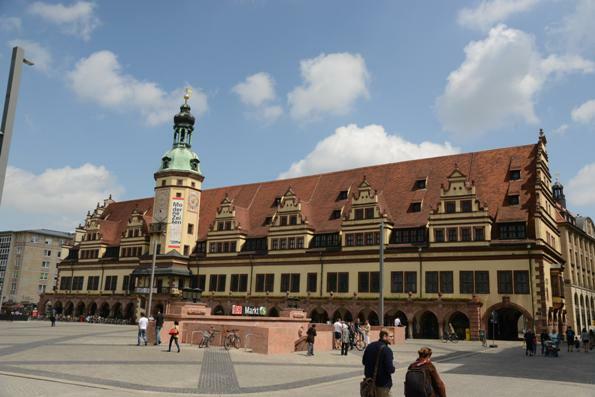 The main Marktplatz (marketplace) and the Altes Rathaus (Old Town Hall). 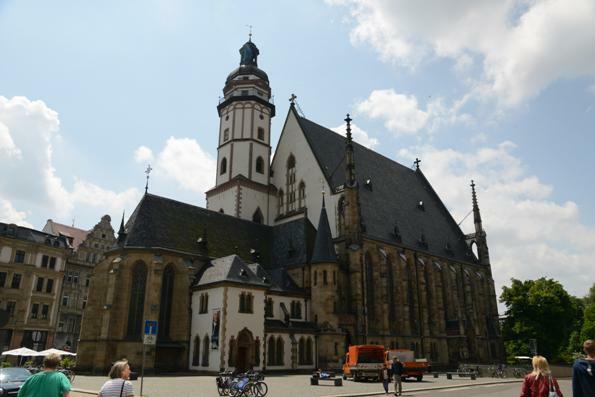 The Nikolaikirche and surrounding square. 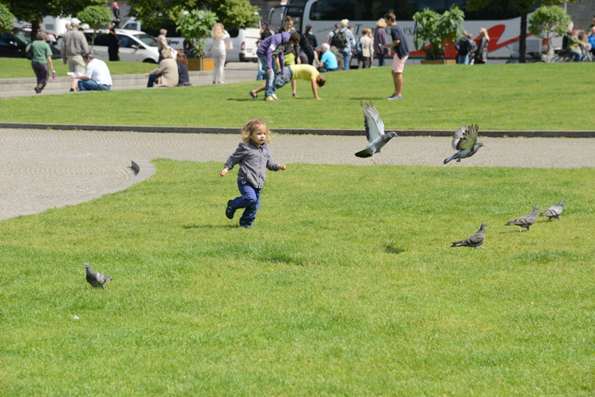 Greta had some fun chasing pigeons and playing in the fountain. 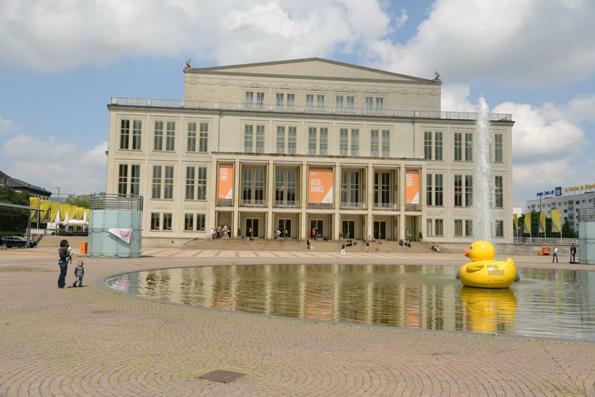 The Kroch-Haus (left) and Opera (right). 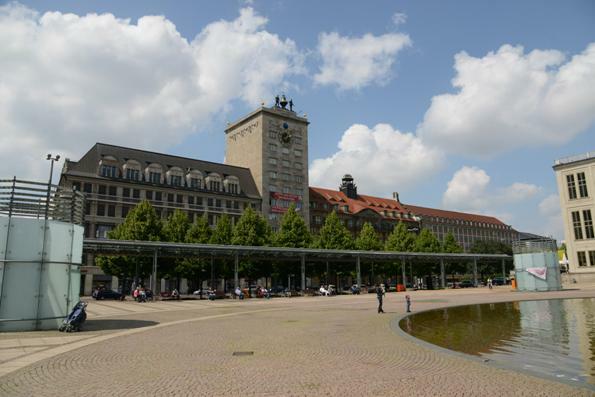 The Bundesverwaltungsgericht (Federal Administrative Court of Germany) and the University of Leipzig (right). 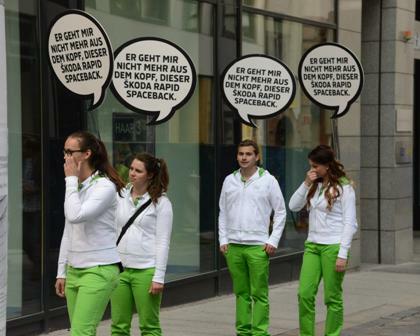 However, the best site of the afternoon was watching these young people humiliate themselves (presumably paid) to advertise the Skoda Rapid Spaceback. 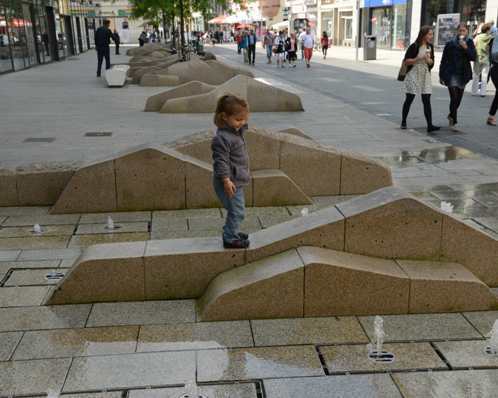 There were very few people in the city center at this time on Sunday. However, there were like 15 of these people with the signs walking in single file spaced about 20 seconds apart strolling through town.